Need an appraisal in Deltona Florida give us a call! Have A Deltona Appraisal Question ? Call Now ! Deltona was founded in 1962 by the Mackle brothers who purchased 17,203 acres of land which they duly turned into 35,143 lots. 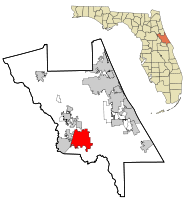 In 1963 there were just 78 families living in Deltona. Because of Deltona’s proximity to Orlando and major highways such as I4 it has enjoyed rapid growth and is now a major residential area.